I just heard about this brilliant initiative at Sharrow School in Sheffield (less than a mile from the hospital where I was born!). One of the school buildings has a roof garden which was specifically designed to represent the various habitats that can be found in the local area. The garden was so successful that the school was able to have it designated as a local nature reserve under UK law. You can see more details of the school and the building (including the description of the LNR itself and the justification for the designation). The roof garden was organised by the Green Roof Centre, an organisation based within the University of Sheffield, when building was created in 2007 during the merger of two local schools to form Sharrow School. Gardens are a wonderful resource for wildlife in urban environments. While cities tend to be devoid of plants and animals apart from those “synanthropic” (meaning “lives well with humans”) species like pigeons and rats, gardens often contain an enormous diversity of plants. In some cases the species richness and complexity of different flowerbeds can be higher than that of tropical rainforests. A perfect example of a long-term study that has demonstrated the value of gardens is Jennifer Owen’s study at her home in Peterborough. The project, which has involved recording thousands of species of insects and dozens of birds and mammals, began when Dr Owen (a distinguished academic) contracted multiple sclerosis (MS). The disease left her with reduced mobility and so she looked for academic pursuits closer to home. The work that Dr Owen has conducted on her garden has resulted in a whole host of scientific papers and a number of books (including the publication in 2010 of “Wildlife of a Garden: A 30 Year Study“, through the Royal Horticultural Society). There’s plenty that you can do to help make the most of the space that you have in your garden as well. First and foremost DON’T PAVE OVER IT! This reduces permeable land through which rainwater can drain and, as a result, contributes to flooding in cities. Second, a little bit of awareness of wildlife can have a huge benefit for plants and animals without making any difference to how your garden looks. For example, planting for pollinators has become easier since the Royal Horticultural Society started producing guides and seed packs specifically for those plants that bees, butterflies, hoverflies and other pollinators like to visit. There are big projects running right now, including the Urban Pollinators project – a joint project between the Universities of Leeds, Bristol, and Reading, that are investigating how pollinators use urban habitats. 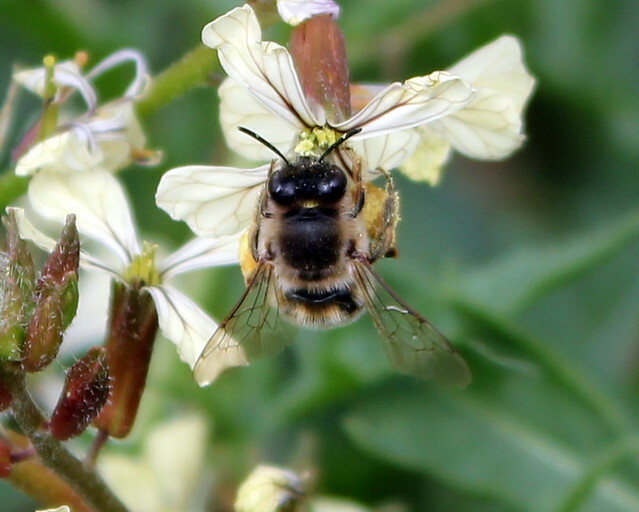 If you spot a pollinator in your garden, give them a tweet: @LdsUrbPolls, @ReadingUrbPolls, or @BrisUrbPolls, and check out their blog.